Do you have GPS tracking software? If not, you need to get it immediately. GPS tracking will make your fleet more productive, and it’ll also reduce your insurance premiums and improve driver safety. Everyone tends to slack off at work when they’re unsupervised, and drivers are almost always unsupervised. Your drivers might be taking breaks or running personal errands while they’re on the clock. You can’t see them, so how do you know? GPS tracking is how. GPS tracking will show you where your drivers are in real-time. Whenever you want, you can check in on a driver to confirm they’re doing what you’re paying them to do. That allows you to properly evaluate driver performance and get a better ROI on your payroll dollars. In the United States, tens of thousands of people die every year in road collisions. Speeding puts your drivers at greater risk of getting into an accident. GPS tracking software helps prevent speeding. 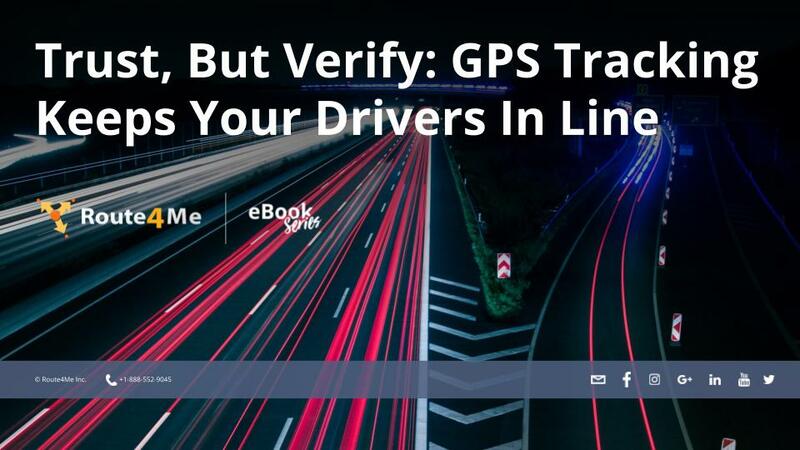 That’s because, in addition to showing you where your drivers are, GPS tracking also shows you how fast they’re going. If a driver starts speeding, you’ll know about it immediately. You can get them on the phone and tell them to cut it out right away. How much would it cost you if one of your vehicles was stolen? $10,000? $20,000? More? Is that an expense you can afford right now? GPS tracking improves your chances of recovering stolen vehicles, so you can avoid this expense altogether. Perhaps the greatest benefit of GPS tracking software is that it helps your drivers show up on time more often. Your customers will love that! Download this eBook for more information.